This issue is extra exciting for me as I’m featured in the From the Pros section. So honored to be among all the artists featured. 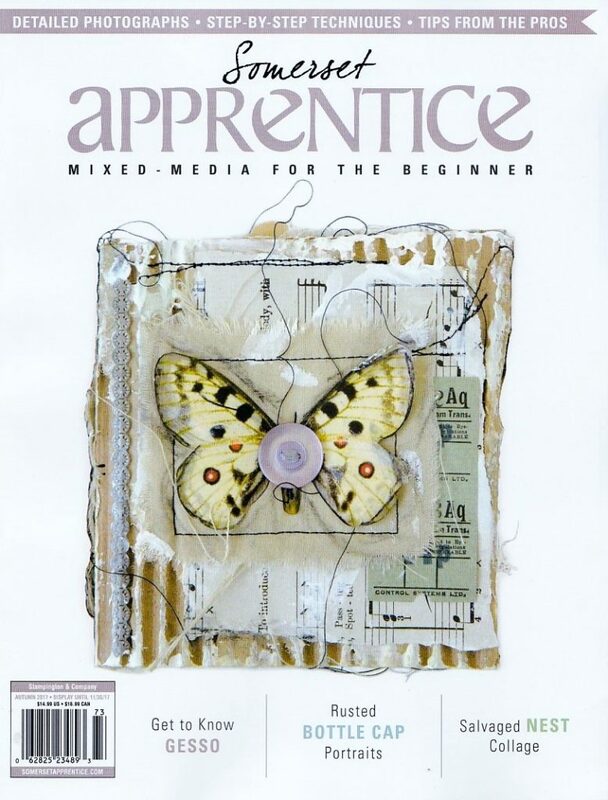 In this issue of Somerset Apprentice an assemblage piece “Grow” is a feature article. 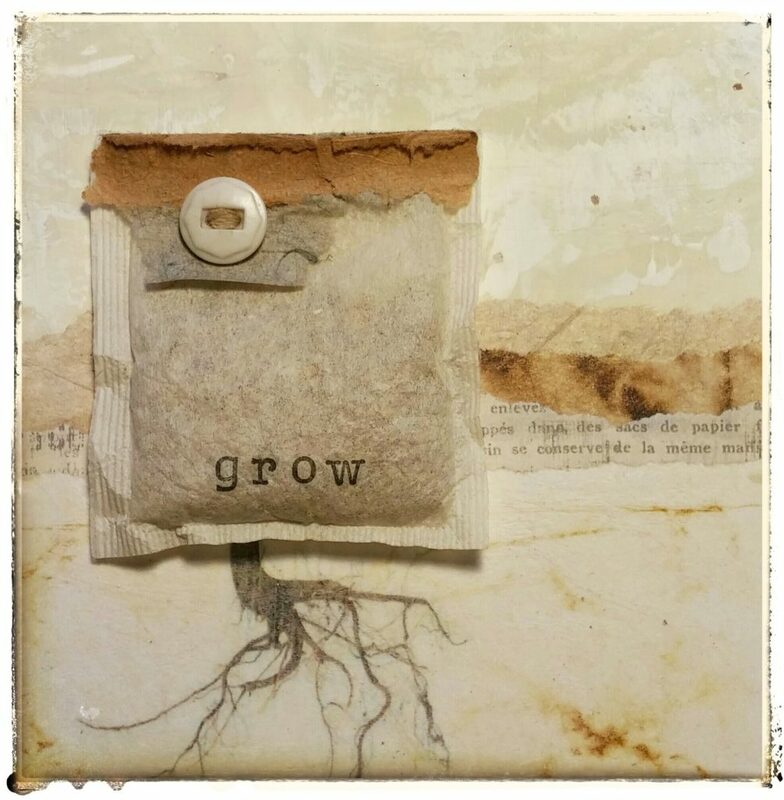 Grow was inspired by a used tea bag and the back side of a wood canvas. 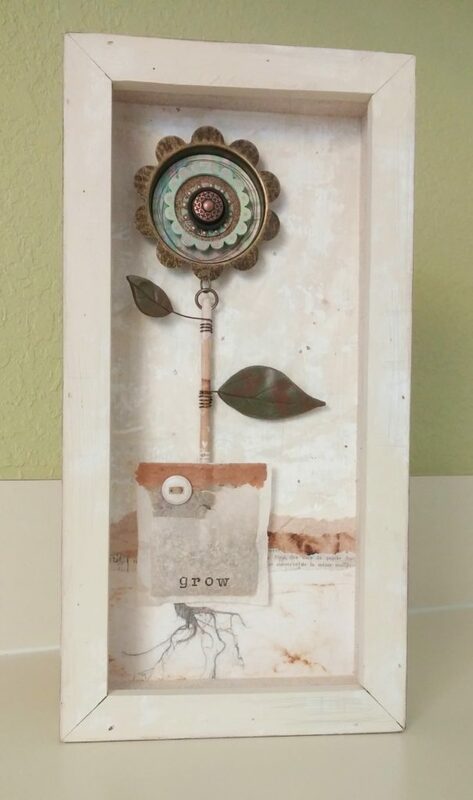 The wood canvas offers a nice shadowbox for this flower assemblage. 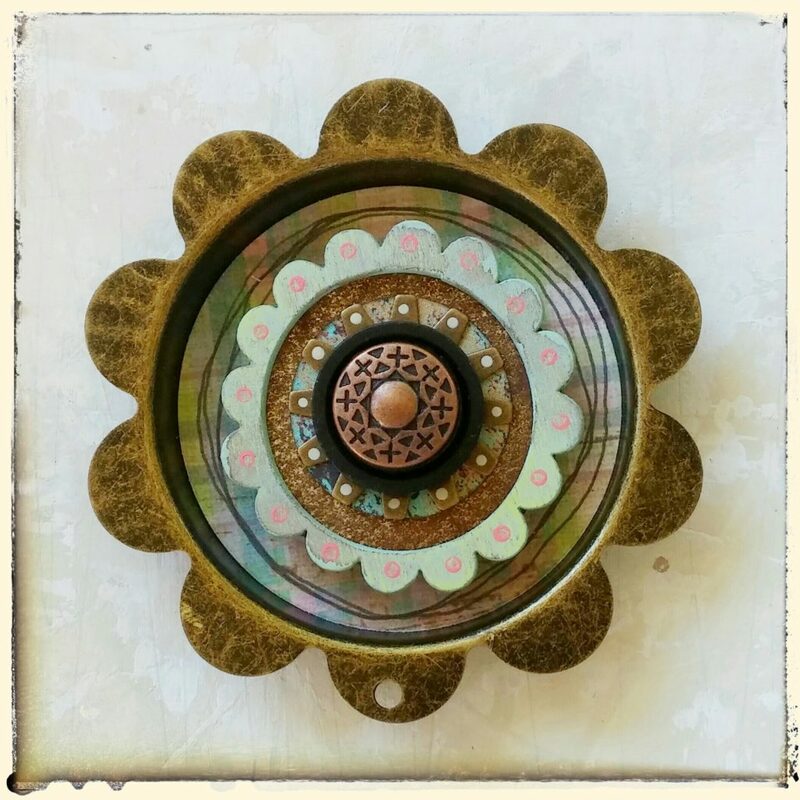 This piece was so much fun to create and has so many elements, yet is soft and understated. The neutral palette is warm and inviting. Below are a few up close images of my favorite areas within this piece.